In this MicroStrategy tutorial you will learn MicroStrategy from the basics to help you get a job in the MicroStrategy domain. You will understand various business intelligence applications of MicroStrategy, advanced data analytics, report creation and formatting, connecting MicroStrategy to relational databases and data warehouses. Learn MicroStrategy from Intellipaat MicroStrategy training and excel in your career. In this MicroStrategy tutorial you will learn MicroStrategy from the basics to help you learn this top Business Intelligence tool. MicroStrategy is a Business Intelligence(BI) and On-line Analytical Processing (OLAP) software which allows reporting and analysis of data from a variety of sources, including data warehouses, Excel files, and Hadoop distributions. Using this tool, users can easily transform big data into instinctive dashboards and reports for greater analytical insights to make informed. 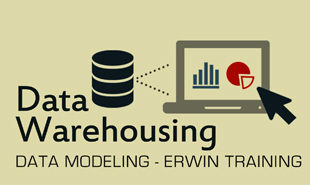 Software Architects, ETL Developers, Data Specialists, Business Reporting Professionals, Entry-level developers and advanced data professionals eager to build career in Visualization and Analytics can learn MicroStrategy from this tutorial. There are no prerequisites to learn MicroStrategy from this MicroStrategy Tutorial. But having a basic IT and OS knowledge is beneficial. If you have a prior knowledge of data analytics and reporting tools then it is definitely an added advantage. MicroStrategy is a business intelligence tool that is widely used for deriving valuable insights from data in the form of visually insightful reports, graphs and charts. MicroStrategy can connect to any type of data including big data, flat files, social media data and so on. MicroStrategy offers an intuitive way to create and modify business intelligence reports and dashboards using the MicroStrategy Desktop. Why is MicroStrategyso widely used? It offers unmatched mobile analytics features thus putting the power at your fingertips. MicroStrategy has an excellent data discovery feature. Data discovery is a part of business intelligence process wherein you connect to data from disparate sources and data in the form of data silos and so on. MicroStrategy can help you connect to data which is in formats like big data, flat files and so on. When the data discovery is done the right way it paves the way for data drilling and so on in a seamless manner. Data wrangling is the process of cleaning and transforming data in a format that is easily deployed for extracting business insights out of it. MicroStrategy has excellent features for cleansing, structuring and enriching data in order to aid the process of business intelligence reporting. You can deploy a wider range of data mining and data modeling tools along with MicroStrategy to augment its native analytical capabilities. 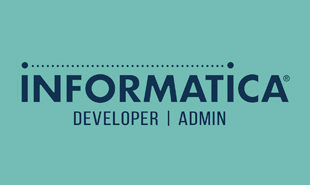 Anybody can use these data mining features like report designers, business users and analysts. You can then build predictive analytics reports on top of it and distribute it to any device. MicroStrategy offers a comprehensive library that has a great set of data mining, mathematical and financial functionalities which helps to understand the connection between data, gauge performance metrics and statistical analysis reports. 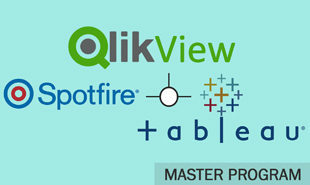 When it comes to visualization MicroStrategy has a great set of tools. You can use hundreds of open source tools for visualizing the data along with the built-in tools. You can also deploy the visualization builder, or you can also create a new visualization from scratch. MicroStrategy also lets you work with real-time data through the deployment of real-time dashboards. This will help businesses stay on top of the business by monitoring information in real-time. You can also get scheduled updates thus ensuring that you get the latest data. You can also benefit from embedded business intelligence thanks to MicroStrategy out of the box tools that can be seamlessly embedded into other tools and platforms like SharePoint, WebSphere, NetWeaver and so on. MicroStrategy offers a simple integration kit that includes sample coding and documentation. This MicroStrategy tutorial will show you why you should learn MicroStrategy. The world’s foremost research firm Gartner recognizes MicroStrategy as a top challenger to the incumbents in the business intelligence and analytics segment. Thus. in the near future the chances that MicroStrategy will land in the leader’s quadrant of Gartner Magic Quadrant are very much true. Thus if you are able to work with this tool and show your expertise then your skills would be demanded by the enterprises that are already deploying or will soon deploy MicroStrategy as a business intelligence tool. 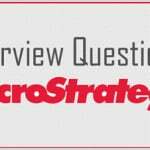 What are the strengths of MicroStrategy? Here in this part of the MicroStrategy tutorial we will learn about some of the unique strengths of MicroStrategy. It can be extensively used for solving big data problems. 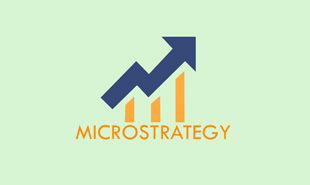 "1 Responses on Microstrategy Tutorial - Learn Microstrategy from Experts"
All the topics were well explained through step-by-step process, lots of real-time examples. Excellent Stuff!!! Sign Up or Login to view the Free Microstrategy Tutorial - Learn Microstrategy from Experts.